Israeli soldiers opened fire, Sunday, on Palestinian cars, transporting workers, causing two to flip over, and abducted the two drivers, near Yatta town, south of Hebron, in the southern part of the occupied West Bank. 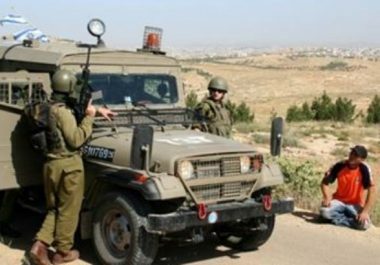 Rateb Jabour, the coordinator of the National and Popular Committee in southern Hebron, said the soldiers chased Palestinian cars, transporting day laborers, in the at-Tabaqa area, close to the illegal Avigal colony, which was built on Palestinian lands, south of Yatta. He added that the soldiers opened fire at several cars, causing two to flip over, and abducted the two drivers; one of them has been identified as Suleiman Abed Makhamra, 25. Jabour also stated that dozens of soldiers have been deployed in many areas, including valleys and junctions, leading to Be’er as-Sabe’ (Beersheba), and various villages and towns in the southern Negev. Israeli soldiers invaded, on Sunday morning, the village of Deir Nitham, northwest of the central West Bank city of Ramallah, broke into and ransacked homes, and forced children out of their schools after invading them. Safi Tamimi, the coordinator of the Land Defense Committee in Deir Nitham, said that many armored military jeeps, and a bulldozer, invaded the village, at dawn, before closing its main entrance. Tamimi added that the soldiers then broke into and ransacked many homes, and occupied the rooftops of the home of the village’s Imam, Fadel Abdul-Hamid, in addition to Asif Hussein Diab, and broke into the Local Council building. On Sunday morning, the soldiers invaded many schools in the village, while the students were conducting their mid-term exams, and forced them out of their schools. It is worth mentioning that the soldiers invaded many schools, Saturday, in the village, an issue that caused many to hurl stones at the soldiers, while the army fired gas bombs, causing dozens of students to suffer the effects of teargas inhalation. It is worth mentioning that the soldiers broke into a school in the al-Khader town, south of Bethlehem, while the students were conducting the mid-term exams, and fired many gas bombs and concussion grenades. 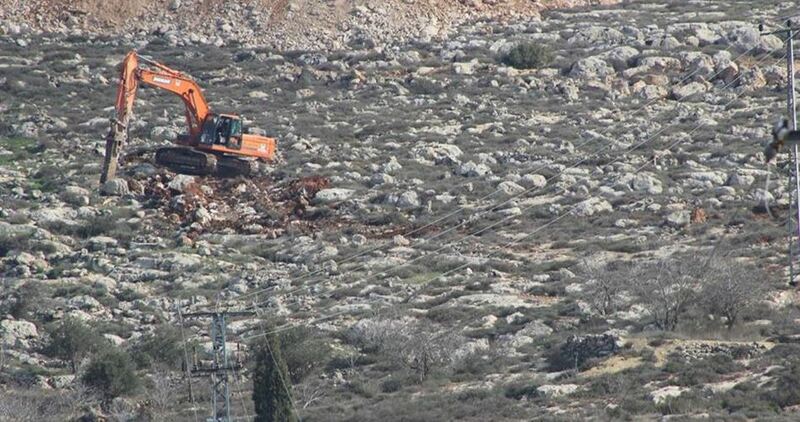 The Israeli occupation authorities seized Palestinian lands in al-Nabi Saleh village, northwest of Ramallah, and ransacked Palestinian homes. Anti-settlement activist Mohamed al-Tamimi said the occupation authorities seized Palestinian lands covering an area of 20 dunums near Israel’s Halamish settlement outpost. Al-Tamimi added that the Israeli forces fenced off the targeted land with barbed wire and denied the owners’ access into the area. The activist also said that the Israeli authorities razed cultivated lands at the main entrance to the village, leading to fistfights with Palestinian locals. At the same time, Israeli forces rolled in the nearby Deir Nidham village and rummaged into Palestinian homes. A Palestinian young man was injured on Sunday afternoon during clashes between Palestinian youths and the Israeli occupation forces (IOF) in Tal town to the southwest of Nablus city. Local sources told the PIC reporter that Yousuf Afana was taken to the hospital after being shot with a live bullet in the thigh. The sources added that clashes erupted after the IOF soldiers broke into al-Birka area, west of the town, and heavily fired tear gas canisters and metal and live bullets at the Palestinian citizens. The Israeli occupation forces (IOF) on Sunday morning clashed with Palestinian school students in Burin town, south of Nablus in the West Bank. Ibrahim Amran, the principal of the Burin high school, told the Palestinian Information Center (PIC) that skirmishes broke out between students from his school and soldiers at a nearby military watchtower. He added that the soldiers fired tear gas at the students to disperse them, and luckily no one was hurt during the events. For the fourth week running, the occupied Palestinian territories in the West Bank and Jerusalem have been seeing angry protests and clashes with Israeli soldiers in response to the US recognition of Jerusalem as Israel’s capital. The Israeli occupation forces (IOF) at dawn Sunday stormed different West Bank areas, raided homes and kidnapped some Palestinian citizens, amid skirmishes with local young men. In Nablus city, local sources told the Palestinian Information Center (PIC) that Israeli troops aboard more than 10 military vehicles stormed the city from the western side and stationed near an apartment building in Sufiyan neighborhood. Soon later, Israeli soldiers broke into and ransacked the apartments of two young men identified as Abdul-Salam al-Quqa and Ameed al-Nuri and rounded them up. The sources added that the IOF clashed with angry young men for several hours in the neighborhood, during which they fired live ammunition and tear gas and stun grenades to disperse them. Eyewitnesses also said that the same military force came under stone-throwing attack by other young men after they withdrew from Nablus and arrived in Deir Sharaf town. 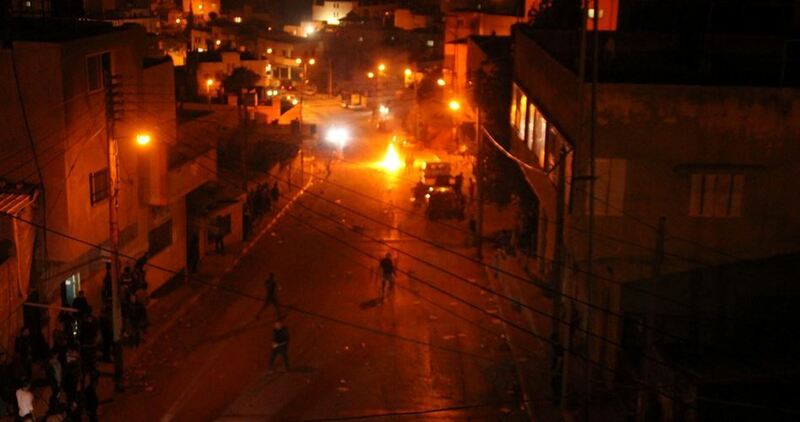 In Tulkarem, violent clashes broke out after Israeli soldiers stormed the city. Local sources said that many young men suffered from their exposure to teargas fumes during skirmishes with the soldiers. In a separate incident, the IOF kidnapped two young men, from Jaba town in Jenin, at a military checkpoint between Nablus and Ramallah. According to eyewitnesses, soldiers stopped a public car on the Nablus-Ramallah road and searched it for a while before rounding up two young passengers called Sameh Fakhouri and Ahmed Alawneh. Israeli warplanes overnight Sunday struck a Palestinian resistance watchtower near Gaza’s destroyed airport, east of Rafah. According to eye-witnesses, sounds of heavy explosions were detected as Israeli fighter jets targeted a resistance watchtower south of the blockaded Gaza Strip. 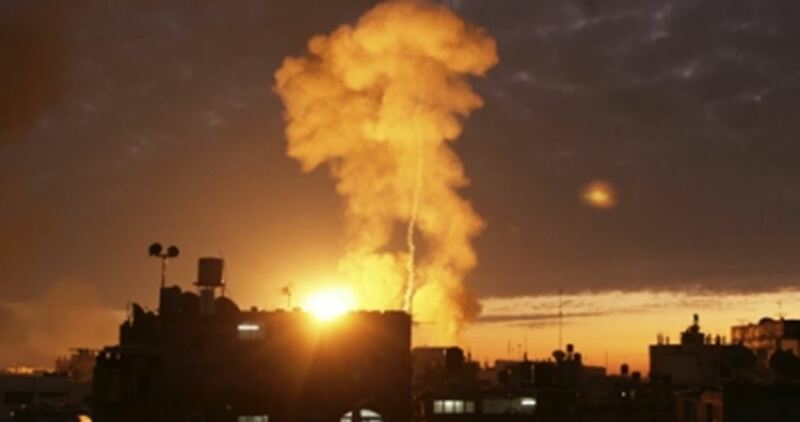 Israeli army spokesman said the strike targeted a Hamas reconnaissance site and came in response to rockets fired by Hamas toward western Negev on Friday. On Friday morning, missiles were unleashed from Gaza toward Israeli settlements near Gaza’s border area. A rocket landed in Sha’ar HaNegev settlement council, resulting in material damage. 31 Palestinians were injured by Israeli gunfire and tear gas grenades in clashes that erupted with Israeli forces in Abu Deis town in Occupied Jerusalem on Saturday. Palestinian Red Crescent Society revealed that 7 Jerusalemites were wounded by rubber bullets and 23 others suffered breathing problems due to Israeli tear gas canisters which were intensively fired at protesters in the town. The society also highlighted that Israeli forces targeted a Palestinian ambulance by gunfire. In a similar context, a local source disclosed that a Palestinian youth was shot by Israeli live bullets during clashes that broke out in al-Ezeriya town near the occupied city. Some 16 Palestinians have been killed by Israeli forces and over 4000 others were injured in violent clashes that have been taking place in Occupied Jerusalem, the West Bank and Gaza Strip in protest at the US recognition of Jerusalem as the capital of Israel and moving the US embassy to the holy city. Israeli soldiers shot, Saturday, seven Palestinians, and caused 23 others to suffer the effects of teargas inhalation, in Abu Dis town, east of occupied Jerusalem, the Palestinian Red Crescent Society (PRCS) has reported. 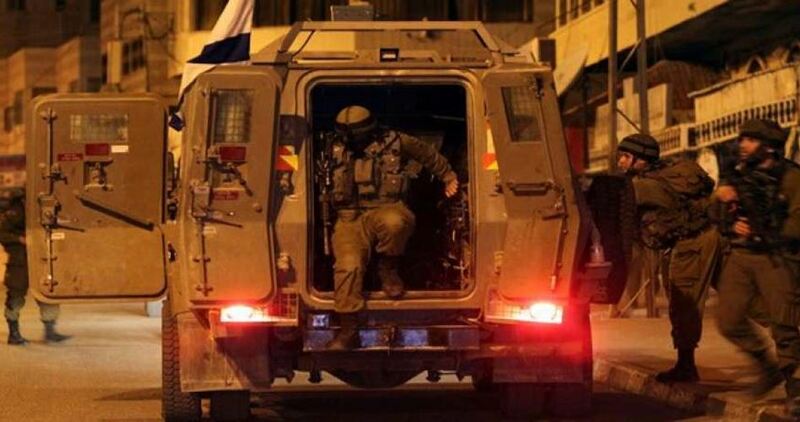 The soldiers also abducted one Palestinian near Hebron, and installed roadblocks near Jenin. The PRCS said that many army jeeps invaded Abu Town, and fired dozens of gas bombs and rubber-coated steel bullets at local youths, who hurled stones at the armored jeeps. It added that the soldiers shot seven Palestinians with rubber-coated steel bullets, and caused 23 others to suffer the effects of teargas inhalation. In related news, the soldiers invaded the al-Fawwar refugee camp, south of the southern West Bank city of Hebron, and abducted a young man in his twenties, identified as Mohammad Khaled Abu Rabea’. 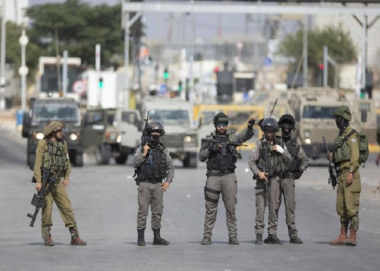 Also Saturday, the soldiers installed roadblocks on the main entrances of Rommana and Zabbouba villages, west of the northern West Bank city of Jenin, before stopping and searching dozens of cars, and interrogated many Palestinians while inspecting their ID cards. 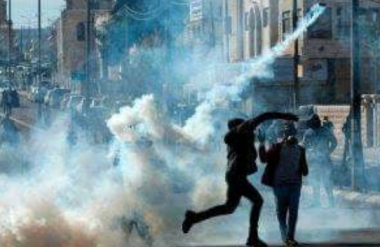 Newly published American study has revealed that the constant use of tear gas by the Israeli occupation forces (IOF) in Palestinian refugee camps has devastating effects on the physical and mental health of residents, especially women, children and the elderly. The study, conducted by researchers at the University of California at Berkeley and published on the university's website on Thursday, said that Aida refugee camp near Bethlehem is the most exposed place to tear gas in the world. Aida camp, like other Palestinian occupied areas, is repeatedly attacked with tear gas. However, the IOF use of tear gas has turned into a daily occurrence since the US president Donald Trump's recognition of Jerusalem as the capital of Israel on 6th December. Researchers conducted a survey of 236 individuals in Aida camp as well as 10 focus groups in Aida and Dheisheh camps in August 2017. Based on the survey, 100% of the citizens reported being exposed to tear gas in the past year, 84.3% were exposed while in their homes, 9.4% at work, 10.7% in school, and 8.5% in cars. Residents described various physical effects from such frequent exposure to tear gas including loss of consciousness, miscarriage, breathing difficulties, asthma, coughing, dizziness, rashes, severe pain, allergic dermatitis, headaches and neurological irritability, blunt trauma from canister injuries, and more. The Israeli constant use of tear gas has also resulted in very high levels of psychological distress which leads to sleep disruption, acute stress responses, and chronic post-traumatic stress disorder. Children and teachers in the camp reported being unable to carry out school activities during the IOF gas attacks. UN Commissioner General Pierre Krähenbühl has said that the women of Aida camp rush to hide their children in locked rooms in their houses to protect them against suffocation during the IOF tear gas raids. The researchers concluded that the IOF soldiers use tear gas in a widespread, frequent, and indiscriminate manner in violation of international laws. The lead researcher Rohini Haar said, "This huge amount of tear gas has been fired on poor neighborhoods not over weeks but years. I have not seen or heard of anything like that anywhere else in the world." The researchers said that the IOF should immediately stop using tear gas in ways that increase the risk of unwarranted injury and death, such as firing canisters directly at people, or using tear gas in confined spaces with limited escape routes. They called for the criminalization of tear gas firing in residential areas, near schools or hospitals or near elderly people or others who may have difficulty escaping. They also asked the Israeli government to disclose information about the types of chemical irritants used in the West Bank, including their chemical composition, to enable proper treatment. 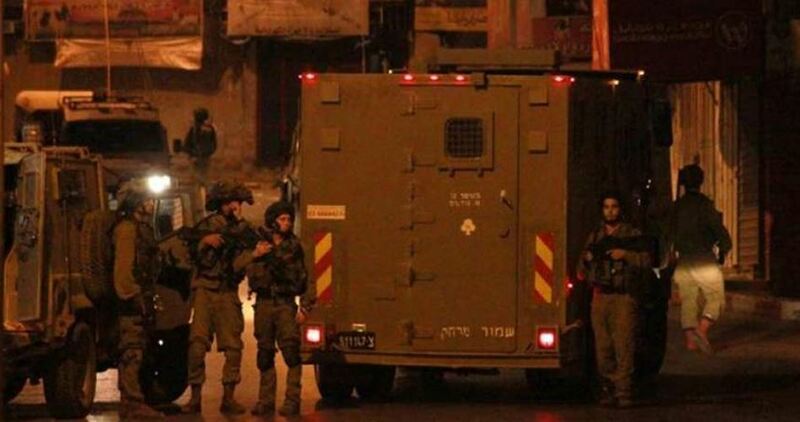 The Israeli occupation forces (IOF) at dawn Saturday stormed the towns of Ya’bad and Kufeirit in Jenin province, north of the West Bank, and kidnapped a Palestinian citizen from his home. Local sources told the Palestinian Information Center (PIC) that sounds of explosions were heard last night near the checkpoint leading to the illegal settlement of Dutan and at the entrance to Ya’bad town, without knowing their causes. 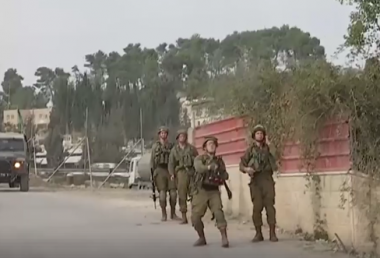 Immediately following the explosions, military reinforcements were dispatched to the area before Israeli soldiers stormed Ya’bad town and closed its entrances with barriers, according to the sources. Soldiers also raided the house of a young man called Mohamed al-Taher, rounded him up and took him away aboard a military vehicle. Meanwhile, an Israeli military force stormed Kufeirit town and patrolled its streets overnight. The IOF also set up a makeshift checkpoint on Jenin-Haifa road, west of Jenin, stopped passing vehicles and checked the IDs of passengers. Israeli soldiers attacked, Friday, Palestinian and international nonviolent protesters, in Ni’lin village, west of the central West Bank city of Ramallah, causing many to suffer the effects of teargas inhalation. Media sources in Ramallah said the soldiers attacked the protesters, as they marched from the village, heading towards the Palestinian orchards near the illegal Annexation Wall, and fired many gas bombs, concussion grenades and rubber-coated steel bullets at them. The Israeli attack caused many to suffer the effects of teargas inhalation, before local medics provided them with the needed treatment. The army also tried to ambush and abduct many protesters, fired gas bombs at several homes, and attempting to invade the village, before local youngsters hurled stone at them. 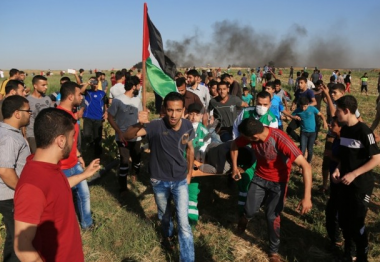 The Palestinian Health Ministry has reported that Israeli soldiers shot, Friday, at least 143 Palestinians, including 43 who were shot with live fire, three of them suffered very serious wounds, after the army attacked hundreds of protesters, marching near the border fence in several parts of the besieged Gaza Strip. 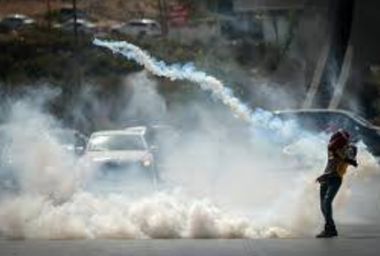 Dr. Ashraf al-Qedra, the spokesperson of the Ministry of Health, said the soldiers shot 43 Palestinians with live fire, including three who were shot by sharpshooters, and suffered life-threatening wounds, while at least 100 others suffered the effects of teargas inhalation. Al-Qedra stated that the soldiers seriously injured two Palestinians, after shooting one in the with a live rounds in the head and another in his chest, east of Gaza city, and in Central Gaza. He added that the soldiers moderately injured three other Palestinians, after shooting them with live fire, east of Jabalia, in the northern part of the coastal region. Furthermore, one Palestinian suffered a serious injury, after the soldiers shot him with live fire in the abdomen, east of Khan Younis, in the southern part of the coastal region. Another Palestinian suffered a moderately injury, after the soldiers shot him with live fire, east of al-Boreij, in central Gaza. In Beit Hanoun, in northern Gaza, the army fired dozens of gas bombs at protesters, in Palestinian lands close to the border fence, while several youngsters managed to burn a military tower. 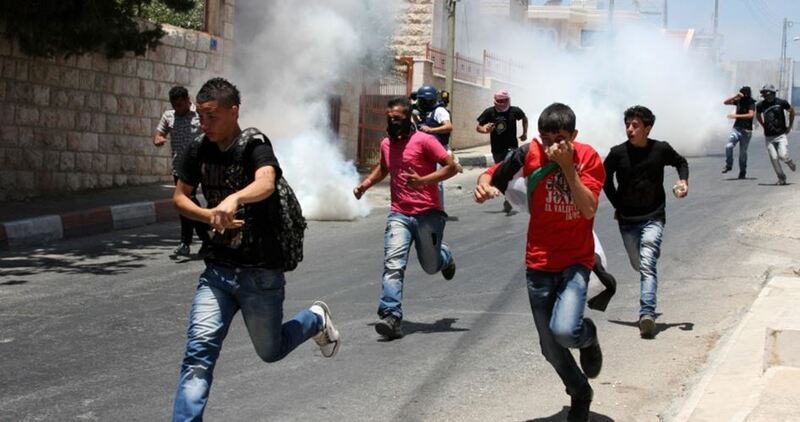 Medical sources said many Palestinians suffered the effects of teargas inhalation. Many army sharpshooters, and several armored vehicles, have been deployed near the border fence, near Abasan al-Jadeeda town, east of Khan Younis, and near Rafah city, especially at the Sofa crossing, in southern Gaza. Israeli soldiers fired, on Friday at noon, at least six tank shells into a number of border areas, in the eastern part of the Gaza Strip, causing damage. Media sources in Gaza said the soldiers fired missiles into a site, apparently used by an armed resistance group, in addition to several nearby areas, east of the Tuffah neighborhood, east of Gaza city. The shells were fired while many Israeli fighter jets, and drones, were seen flying over various parts of the Gaza Strip. 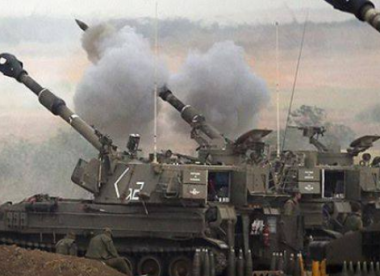 The Israeli army claimed it was responding to shells, fired from Gaza into Sha’ar Hangev Regional Council of Settlements, and added that one shell hit a structure, and two others were intercepted by the Iron Dome system. 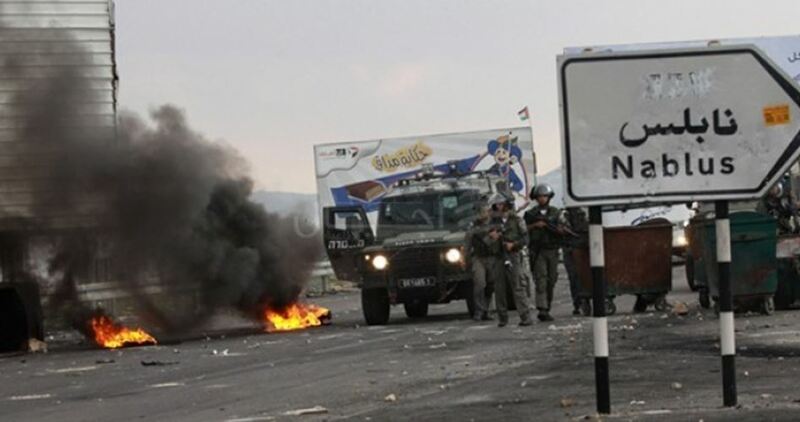 Israeli soldiers injured, Friday, 49 Palestinians in five areas, in the northern West Bank governorate of Nablus, after the army attacked Palestinian protesters in Beita Junction, al-Lubban Ash-Sharqiya Junction, ‘Aseera al-Qibliyya, Huwwara roadblock and Salem town. Ahmad Jibril, the spokesperson of the Red Crescent Society (PRC) in Nablus, said the soldiers shot twelve Palestinians in Beita Junction area, adding that four of them suffered moderate wounds; one was shot with a live round, three with rubber-coated steel bullets, and eight others suffered the severe effects of teargas inhalation. He added that the soldiers also shot three Palestinians with rubber-coated steel bullets near Huwwara roadblock, south of Nablus, before they were rushed to a hospital, while twenty others were suffered cuts and bruises, in addition to the effects of teargas inhalation, and received treatment by medics, without the need for further treatment. Furthermore, the soldiers shot five Palestinians with rubber-coated steel bullets, and caused eight to suffer the effects of teargas inhalation, in the al-Lubban ash-Sharqiya village, south of Nablus. 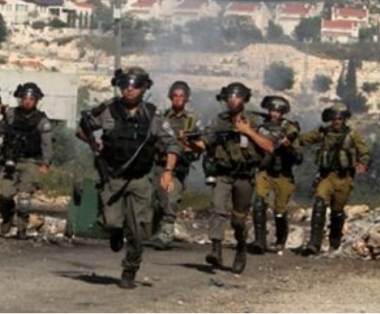 Two Palestinians were also injured in Salem village, east of Nablus, and received the needed treatment. 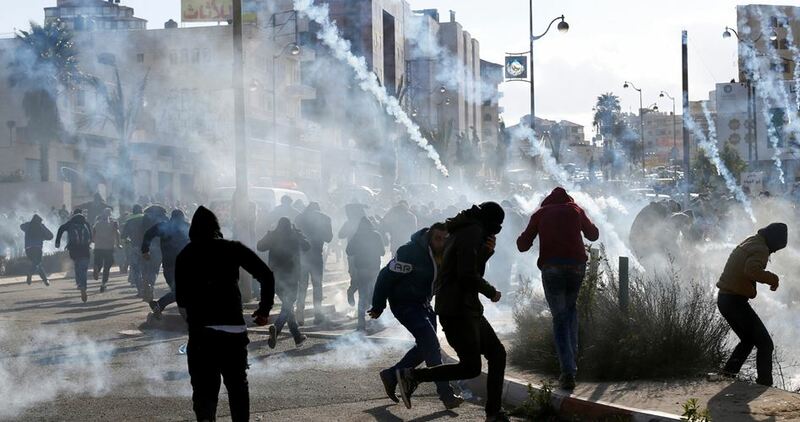 Medical sources have reported that Israeli soldiers shot, Friday, three Palestinians with rubber-coated steel bullets, and caused dozens to suffer the effects of teargas inhalation, in the al-Lubban ash-Sharqiya village, south of the northern West Bank city of Nablus. The sources said that the soldiers resorted to the excessive use of force against Palestinian protesters, and closed the village’s entrance with an iron gate, before opening fire on the protesters. The soldiers fired many rubber-coated steel bullets, wounding two young men and one child, in addition to causing dozens of residents to suffer the effects of teargas inhalation. Medics provided the needed treatment to the wounded Palestinians, and rushed the two young men, and the child, to Salfit governmental hospital. Medical sources said most of the Palestinians who suffered the effects of teargas inhalation, were in their homes, after the soldiers fired gas bombs at many homes in the village. 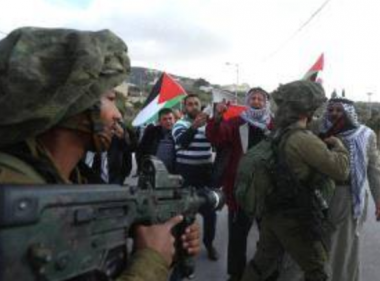 Israeli soldiers attacked, Friday, dozens of nonviolent Palestinian protesters in the al-Lubban ash-Sharqiya village, south of the northern West Bank city of Nablus, causing several injuries. Media sources in Nablus said dozens of Palestinians marched towards the main entrance of the town, while chanting against the ongoing Israeli occupation and escalation, and against the U.S. President’s illegal recognition of occupied Jerusalem as the unified capital of Israel. They added that the soldiers instantly started firing gas bombs and concussion grenades at the protesters, causing many Palestinians to suffer the severe effects of teargas inhalation. Israeli soldiers attacked, Friday, dozens of Palestinians who marched from al-‘Azza refugee camp, to the northern entrance of Bethlehem city, in the occupied West Bank, before the soldiers started firing gas bombs and concussion grenades at them. Media sources in Bethlehem said the Palestinians were nonviolently marching against the U.S. President’s illegal recognition of occupied Jerusalem as the unified capital of Israel, and chanted against the ongoing Israeli occupation and escalation. The protesters also chanted for national unity and steadfastness in countering the Israeli occupation, and the illegal policies of U.S. President Donald Trump. The soldiers fired dozens of gas bombs and concussion grenades at the protesters, causing many to suffer the effects of teargas inhalation. 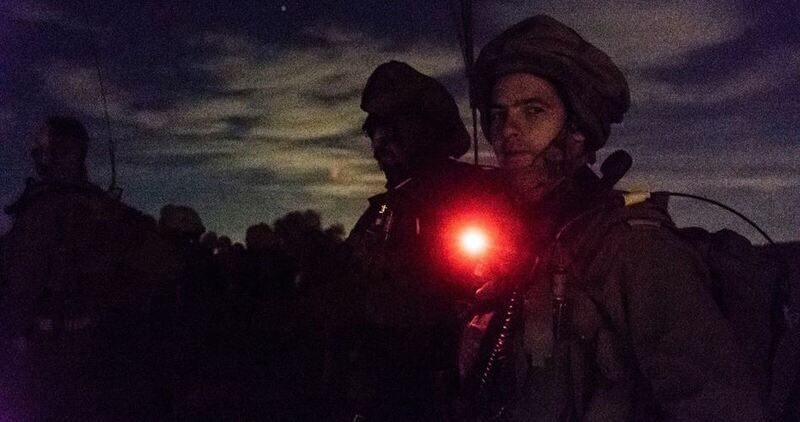 The Israeli occupation army’s Sinai Division (reserve) finished on Thursday evening a large-scale military training simulating a ground invasion of the Gaza Strip. The army claimed it gives top priority for the readiness of its forces, especially on the southern front, in view of the volatile situation in the region. The Israeli occupation navy on Thursday kidnapped Palestinian fishermen off Gaza’s northern seashore. Head of Gaza’s Fishermen Union, Nizar Ayyash, said Sameh al-Kouka and Shawki Bakr were kidnapped by the Israeli navy while setting sail off Gaza’s northern waters. 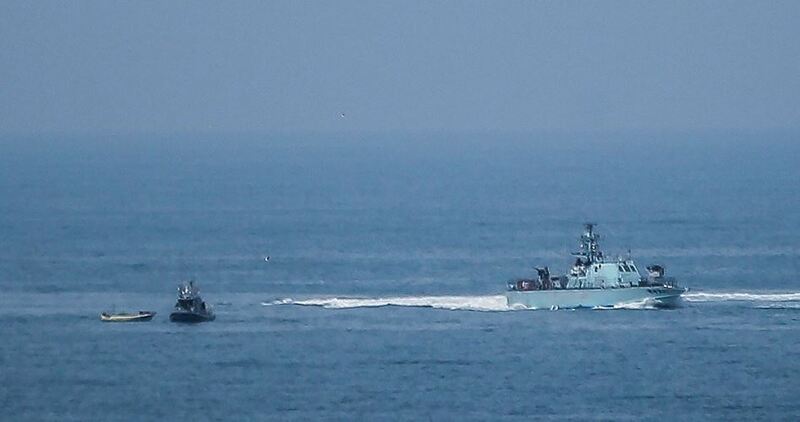 The occupation navy seized the fishermen’s vessel. Ayyash called on the international community and Palestinian consensus government to take urgent action over Israel’s arbitrary abduction of Gaza’s fishermen. In 2016, at least 125 Palestinian fishermen were kidnapped by the Israeli navy, three among them after they were shot with bullet fire. Two fishermen were killed by the occupation navy, including one of them whose body has not been recovered. 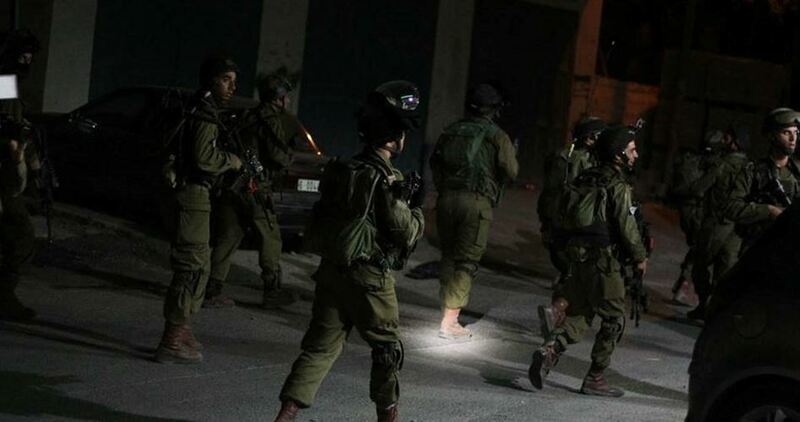 The Israeli occupation forces (IOF) at daybreak Friday kidnapped six Palestinian men from the West Bank and left another injured. The Israeli army claimed responsibility for the abduction of six Palestinians on allegations of involvement in anti-occupation activities. The IOF also seized cash from Palestinian homes in al-Khalil under the pretext that it is allocated to resistance activities. The occupation army further shot Palestinian civilians in Beit Ummar, leaving one injured. Activist Mohamed Awad said a 25-year-old youth was kidnapped by the IOF in the assault. Several Palestinians were treated for breathing disorders by the Red Crescent paramedics after the IOF showered the area with teargas grenades. Reporting from Qalqilya, a PIC news correspondent said Israeli soldiers also rolled into the city and cordoned off residential neighborhoods before they sealed off its access roads with makeshift checkpoints. Heavily-armed occupation forces kidnapped 27-year-old Abdul Kader Walwil after they broke into his family home and rummaged into the building. The IOF also stormed Azzoun town, to the east, and closed off its main entrance. At the same time, five Israeli patrols stormed Burin and ravaged the home of Jamal As’ous, before they kidnapped his son Nabil.